Over 2,000 of you have voted, with additional expressions arriving all the time. We present the latest standings here. The percentages show how far each version has progressed towards its individual target (they are not a percentage of total votes). Our intention is to initiate production when each locomotive achieves 100% of its target. 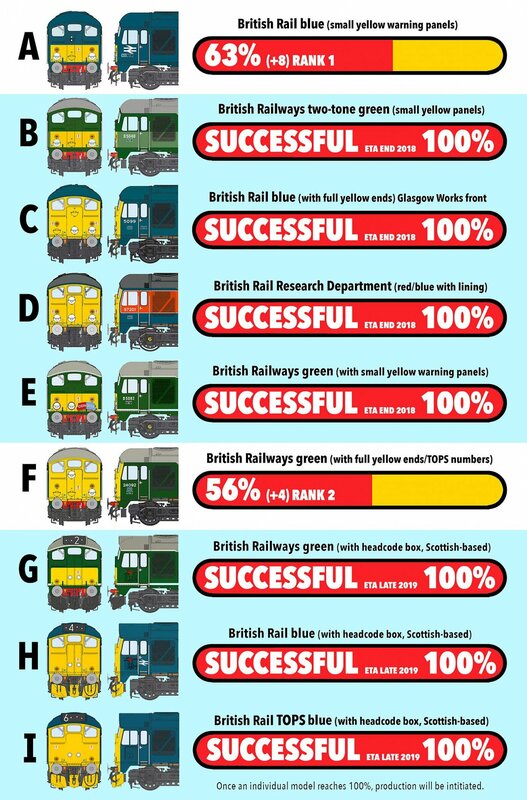 So far, Loco B, C, D, E, G, H & I have all been successful and will now be produced during late 2018 & 2019. Keep your suggestions coming. Information correct to 09.10.18.